Is there anything worse than the panic of permanently deleting a pulse or board you really need? You can now breathe easy. 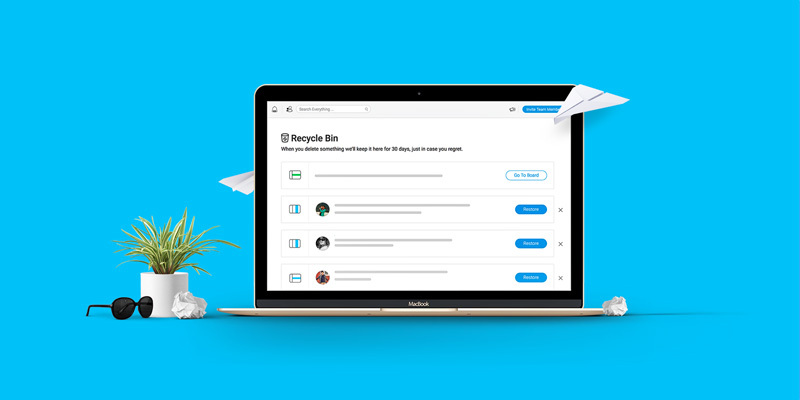 Meet our newest feature: the Recycle Bin! You now have total control over the pulses, groups, columns, or boards you delete. Regret your decision? Just restore it with a click. Rather than disappearing forever, what you delete simply moves to the Recycle Bin and stays there for 30 days. It’s then automatically deleted permanently. That way if you delete something by accident, or simply change your mind, you don’t have to stress. Just go to the Recycle Bin and quickly restore it. Also good to know: all of your privacy and permission settings still apply. 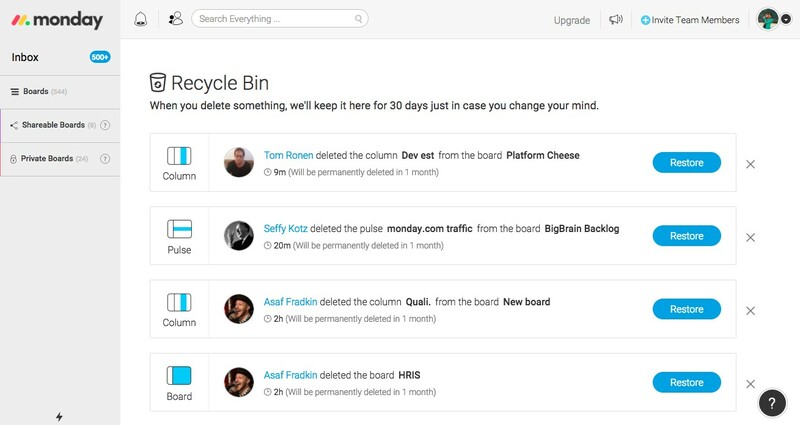 If you delete something from a private board, for example, no one but you and anyone else who has private access to it will see it in the Recycle Bin.